Description: Show those whom you care about just how inventive you can be, with K&Company Layered Accents. Use some of these stacked embellishments for your next paper crafting project. 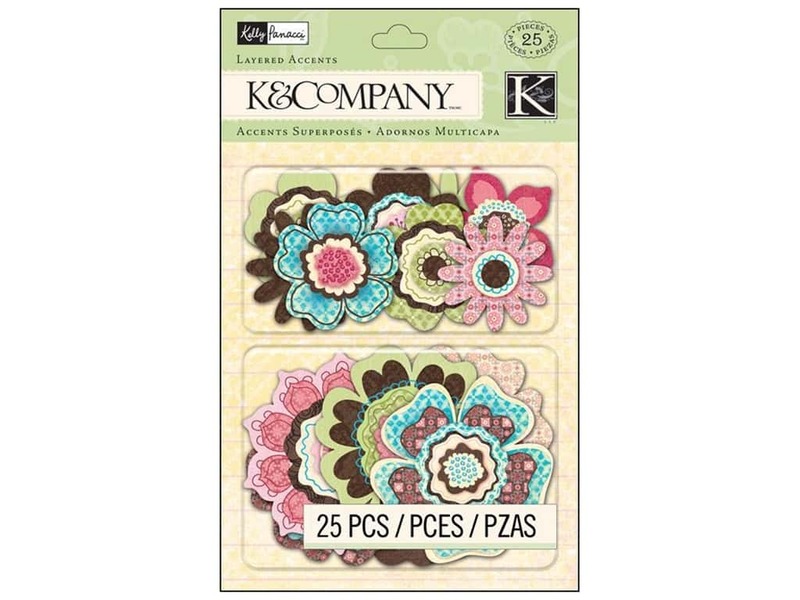 Kelly Panacci Blossom- 25 layered 3D stickers of flower shapes, with adhesive foam dots on back. Colors include Brown, Aqua, Pink, Dark Pink, Fuchsia, Yellow, Green and Cream with highlights of iridescent epoxy glitter.